We’d love your help. 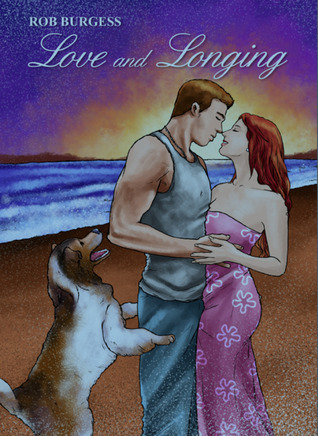 Let us know what’s wrong with this preview of Love and Longing by Robert Burgess. There is nothing romantic about the war, only pain of separation and losing someone you hold close to your heart. They have been married for years, but Jim Fisher and his wife, Jen, are blessed with the kind of love that only grows stronger with time. Their perfect life, however, is punctuated by periods of dread whenever Jim flies to the most dangerous places in the Middle There is nothing romantic about the war, only pain of separation and losing someone you hold close to your heart. They have been married for years, but Jim Fisher and his wife, Jen, are blessed with the kind of love that only grows stronger with time. Their perfect life, however, is punctuated by periods of dread whenever Jim flies to the most dangerous places in the Middle East to resume his military duties. Smack dab in the middle of war in Iraq, Major Jim Fisher bravely faces the hostile threat posed by the terrorist while Jen is in a different kind of battle faced by every military wife back in the United States. To ask other readers questions about Love and Longing, please sign up. This is a heart-warming story of a military man at war, not only with himself but also with the love he feels for his wife. The story takes you into the emotional journey of being overseas, or worse, having a loved one overseas. Rob great story telling. Readers will be emotionally invested. I give it thumbs up on my recommendation list. This book could have been something really good! If the author put more effort and work into this book, it could have been amazing. Being a huge fan of Army Wives, I thought this book would be similar, I was wrong. The different stories needed more substance. I felt like I was reading tidbits of the character's journal entries on their calendars. The quality of portraying the love between Jim and Jen lacked. The synopsis on the back cover of the book greatly exaggerates what the book is really a This book could have been something really good! If the author put more effort and work into this book, it could have been amazing. Being a huge fan of Army Wives, I thought this book would be similar, I was wrong. The different stories needed more substance. I felt like I was reading tidbits of the character's journal entries on their calendars. The quality of portraying the love between Jim and Jen lacked. The synopsis on the back cover of the book greatly exaggerates what the book is really about. There were too many stories happening at once. How can you propose to someone when your Dad is missing or dead? Things like that do not happen. The author made every story have a happy ending when some of the stories should have been left out. This author could have expanded the Shapar situation. I just felt that this book just lacked and it could have been so much more. I was disappointed. Until next time, take life one page at a time! I love this story about love that lasts through anything. It survives a war, literally! I couldn't put it down and can't wait to see what is next for Mr. Burgess!